Disney announced Thursday that it has set a release date of May 31, 2013. The picture had originally been scheduled for a December 21, 2012 release, and for a few months, the big-budget movie's future was in question because Disney halted production over budget concerns. Soon after Disney made the announcement that the project had been revived Thursday, producer Jerry Bruckheimer tweeted, "#THELONERANGER....and Tonto...will ride again. Excited for another adventure with Johnny Depp and Gore Verbinski. Hi-Yo Silver, Away"
TheWrap reported Tuesday that the studio hoped to begin shooting in New Mexico in February. Anyone suspect this will be a revisionist take? 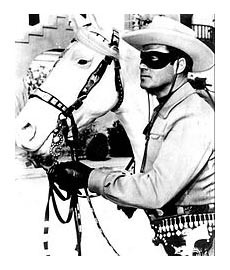 The Lone Ranger will be a reluctant hero with some amusing flaws and quirks - Captain Jack Sparrow on a horse, more or less. I believe... that to have a friend, a man must be one. They’ll probably go with the first, and leave it at that. Hey, it would be great if they went into straight-up non-ironic Heroic Mode like "Captain America," but I'm not counting on it.